This week, I had the privilege of seeing The Last Survivor as a part of the Fight On For Darfur program at USC. It has been almost a year to the day since I saw the film in its entirety—at its festival debut in Dallas for the Dallas International Film Festival, April 2010. When I saw the film a year ago, I was deeply moved. The film gripped me on many levels, both aesthetically and emotionally. I remember a patchwork of images and moments that spoke to me, to such an extent that I was moved to speak as well . . . hence why I approached one of the film’s two directors, Michael Pertnoy, afterwards to offer my services as a writer. Seeing the film a year later, I remembered all the reasons it moved me. The artistry is evident; it’s gorgeously shot, exquisitely edited, and the four survivors’ stories are woven together like an elegant silk tapestry, each flowing seamlessly into the next. But of course the beauty of this film is in the stories it tells, and the lives it so poignantly captures. A year later, after learning more about Justin, Jacqueline, Hedi, and Adam—in fact I can proudly say I am now Facebook friends with two of them—I felt more connected to their stories, more personally involved. After the honor of writing about them, and detailing so many other stories for the RP blog, this issue feels nearer to me now than it did when I sat in a dark auditorium twelve months ago. The first time I saw The Last Survivor, I cried at the injustice of the tragedies suffered by four strangers. The second time I saw it, I cried because it felt like those strangers had become my friends. And therein lies the beauty of the film. Not to mention the work the RP team is doing in general. Because it is in this very sense of connection, this sense of “Hey—those people are just like me,” that the seeds of genocide prevention must be sown. This idea seems all the more relevant as I’ve been reading about the Ivory Coast. On April 11th, former Ivorian President Gbagbo was finally arrested after four months of chaotic violence and civil war. Both France and the UN were involved in the arrest, and today, one week later, it appears that the country is inching slowly toward peace. But the scars are fresh: a massacre in Duekoue that killed 800 people; a drive-by shooting of peaceful women protestors; and over a million people who, fleeing the violence, are now displaced. I cannot help but think of Jacqueline, who speaks in The Last Survivor about her neighbors—the very neighbors whose children she had played with, the very neighbors whose children her mother had fed dozens of times, and the very neighbors who, when the genocide started in Rwanda, rounded up Jacqueline’s entire family, took them to the river, and slaughtered them with machetes. Sides. Divisions. Loyalties. They all hinge on one thing: differences. Walls put up. Lines drawn. People defined by what and who they are not. And as long as these supposed differences continue to be inculcated, people will fail to see the ways in which we are exactly the same. And so I think, more than ever, that a film like The Last Survivor has a vital place in the world. Because what directors Michael Pertnoy and Michael Kleiman have so beautifully depicted is the fact that these four brave, wonderful, extraordinary people are, in so many ways, people just like us. They could be us, and we could be them. And the day we accept that, the day we truly come to terms with what that means . . . the idea of “the last survivor” will move from hopeful theory into potent truth. Last Thursday, as the International community commemorated the 17th anniversary of the Tutsi Genocide in Rwanda, we screened The Last Survivor at the University of Miami. 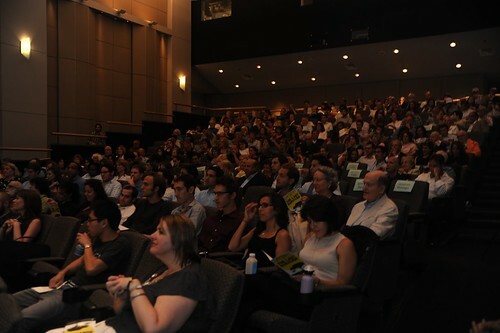 The film was being shown as the final installment of a three-part series on diversity presented by the Hillel on-campus, and the composition of the audience certainly reflected the theme. The University of Miami is home to one of the most diverse student populations in the entire country, and students from all across the campus joined together to present The Last Survivor. Co-Sponsors included the University of Miami Citizens Board, Delta Sigma Theta Sorority, Invisible Children, African Students Union, United Black Students, Haitian Students Organization, Young Democrats, College Republicans, Masa Israel, the Council of International Students and Organizations, Ethics Society, Amnesty International, the Baptist Campus Ministry, and the University of Miami Hillel. I was even told that some of the UM football players were giving out flyers on the campus’s main walkway. It was truly remarkable to hear of this massive on-campus collaboration because when we started making this film almost four years ago, we began with the hope that the film could be used to bring people together and spark important conversations. On April 7th, it most certainly did. Often, when we think about an issue as massive in scale as genocide, it’s overwhelming to grasp the enormity of the problem. How can ONE person begin to tackle such a global issue? I’ve heard so many people say, “What can I do? How can I really help? I’m over here and they’re over there.” It’s one of the toughest hurdles to overcome in this line of work. That’s why Thursday night’s screening so was important. As the film drew to a close, Justin, a few students, and I made our way up to the stage to begin a very important dialogue about the idea of diversity and how it relates the central themes in the film. Justin started the conversation by recounting some of his previous experiences as a refugee in Africa. Despite having nothing to eat and nowhere to sleep or live at times, Justin recalled always feeling a sense of community as he sought refuge in several African nations. “It didn’t matter where you went or who you were: if you met someone new you had a conversation with them. You asked them who they were and where they were from. You made an effort to get to know them and share something with them. It didn’t matter their color, race or background—we were all human beings.” But Justin was surprised when he came to this country, the exact opposite was true. No one wanted to speak to him; no one wanted to get to know him. When he first moved into his new apartment, Justin often tried to say hello to the man living across the hall. He was never greeted in return. For a year he lived in his apartment and never had a real conversation with the man living five feet from his front door. The idea seems simple. But remember that genocide is rooted in prejudice, intolerance, and fear of someone who may appear to be different from you. How often do we look around at our fellow classmates, co-workers, and random people on the street and think to ourselves, “We don’t have anything in common”? How do YOU treat people who appear to be different from you? In the film, Jacqueline talks about how genocide is something that happens in a process. “People do not get up one day and want to kill their neighbors. People do not get up and want to kill their countryman. A genocide is something that happens in a process, and because of that there are opportunities for us to intervene…” Jacqueline teaches us that the crime of genocide is preventable, but that we must identify the early warning signs. She told us that in Rwanda, machetes were imported over two years before the genocide actually began. The Hutu extremists were using the public radio to dehumanize and demonize the Tustis, calling them cockroaches and less than human. If this sounds familiar, it’s because we’ve heard it before. In the 1930s and ‘40s, the Nazis began their campaign of dehumanization very early. Jews were called rats, accused of spreading disease across Europe. They were forced to wear the yellow Jude stars, pulled from their homes, forced to live in ghettos. Similarly, we learned from Adam that prior to Bashir’s genocidal campaign in Sudan, all of the Darfuri students were forbidden from going to school, stripped of any chance of furthering their lives and amibitions. All of these horrible crimes followed a pattern that signaled overt discrimination and impending violence. In these cases, it ultimately led to genocide. Each of these conflicts have their origins in the simple idea that someone decided that someone else is different than they are—that they don’t deserve to be called a human being. And so I’m brought back to Justin’s story, to his tragic history of loss and destruction. He and so many others he loved were told that they were less than human; that they didn’t deserve to live, simply because of the way they were born. And yet, throughout his life, Justin’s greatest hope has been to expand his human family. His own personal experiences haven’t prevented him from trying to reach out and connect with people who might appear to be different from him. His determination to reach a better place in his life has been bolstered by his insistence on inviting new people and new experiences in. Justin has a lot to teach us, and his lessons begin in our own towns, our own schools, our own communities. The evening came to a close with Justin asking the audience to rise and join him in what has become one of his infamous calling cards: the singing of Mambo Sawa Sawa. This traditional Swahili song, with its hopeful lyrics and catchy melody, speaks to the faith that has allowed Justin to not only endure despite the most horrific of circumstances, but to thrive and move forward. “Things are already better!” the song declares. It is a song about hope, it is a song about community coming together to move forward. What Justin has shared with us, and what we will forever be grateful for, is his faith that within each of us is the power to overcome, the power to recognize ourselves in one another, and the power to make things better. Once we each recognize this power, things are already better. 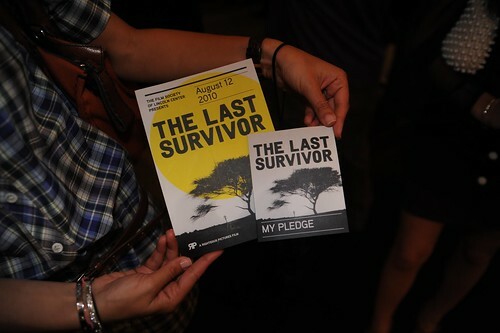 Learn more about Justin’s Story here and visit thelastsurvivor.com to find a screening near you. You sigh. A day’s worth of searching for firewood in the remote outskirts of Abyei slowly fades as the sun above you turns a starker, darker orange. It then sets and sets off the recurring fear voicing from within: it will get colder tonight. But that fear is compounded with an even greater one. You hurry, your heart beating fast and faster, back to the camp, to the “safety” of the camp, because you know those men. You know what they do and what they did. Your friends have been raped. And they have been killed. And the risk you take to defend your family is the greatest risk of all. And so you run, empty-handed, because you don’t want to be buried the next time the sun turns a starker, brighter orange. It began yesterday. In an unprecedented moment in our history, the people of Southern Sudan took to the polls to cast their vote on a referendum that could see their secession from the north and the subsequent birth of a new nation. This pivotal event was the intended culmination of a peace process between the north and the south, its timetable determined as part of the Naivasha Peace Agreement, signed in January 2005 between Sudan People’s Liberation Movement (SPLM) and the Government of Sudan. Independence is looming; decades of civil war, anguish, and genocidal crimes could soon come to an end. Not so fast? The peace process could also well be undermined, as it has been undermined time and again by Sudanese President Omar Al-Bashir and his proxy-militia in Khartoum — nefarious violators of humanity whose own self-interest unleashed mass-atrocity crimes in Sudan’s region of Darfur for the past eight years, leaving more than 500,000 dead and more than 3 million displaced. He and his clowns have done so before. We needn’t look farther back than April of last year, when Al-Bashir, for whom an arrest warrant was issued in March 2008 by the International Criminal Court, conspicuously stole the election, gerrymandering his way to power via intimidation tactics and the instigation of unadulterated chaos – you know, typical behavior for a mass-murderer. And so political turmoil has precedent. Violence has its stage set. The votes are being cast, and the world remains watching. But what responsibility does the world have, anyway? Why does peace in Sudan matter so? Why does the international community have a responsibility to ensure that peace and stability endure after the creation of a new African state? To solve oil-revenue sharing squabbles? Secure post-referendum border demarcation? Speak, stand, stay? Sixty-two years ago, delegates at the United Nations had a vision: that conscience should be able to stand up to power, and that the small countries of the world should not fall by the wayside as they submit willingly to the agendas of the big ones. Yes, this was the dream of Eleanor Roosevelt. A world rid of war. A world where the worth of a child in Nairobi was equal to that of a child in New York, and London, and wherever else. Sifting through the rubble and devastation of two world wars, she, together with the other idealists of her time, framed the Universal Declaration of Human Rights, the first bill of rights to which all human beings are entitled. These were thirty independent articles, not dependent ones. Among them was the right to life, the right to liberty, and the right to security. The right to a nationality and the right to work. The right to an education and the right to participate in community-life. In other words, the rights we “know” but never knew we had. Eleanor Roosevelt understood something profound about the world. She dreamed because she understood- not only the moral imperative that lay in giving hope and purpose to people everywhere; to protecting innocent civilians from the failures of their own governments; to democracy; but what lies beyond: namely, the nature of our connectedness in a post-modern world. That the butterfly admired by one little girl somewhere is the same butterfly admired by any little girl anywhere. That the persecution of one people implies a threat to all people. And that the grass really is only green until it’s not. The history of genocide teaches one thing: hate incubates. It festers. It grows. It multiplies exponentially until words become chants, lies becomes truths, and ideologies that once seemed ridiculous, well- are no longer. Incredulity dies. Rather, it dissipates, more quickly in a community environment than we realize. But what is community, after all? In Hitler’s world, perhaps it was Germany, perhaps it was Europe. Yet, had he been able to, is there any doubt in your mind that Hitler would have exterminated the Jews of America? The homosexuals of America? The disabled people of America? All of America? I have little doubt. And that’s for one very simple reason: in the so-called “logic” of Nazism, hatred of the Jew preceded the general hatred of mankind. The Pan-German idea excluded all who were deemed racially inferior. The blood stains of the 1940′s bear evidence to what was done, not what was intended. “Community” today implies and implicates differently than it did in post-WWII Europe. Differently than it did on 9/11. Differently than it did when Barack Obama defeated John McCain. Globalization is globalizing. And imagine Hitler with the power of the internet. Just stop, just stop and imagine. Frightening, I know. But it underscores the fundamental point: social responsibility in today’s world has pretty big feet. What matters there matters here. We cannot rest on our lawns, gazing at the stars, indifferent until tragedy knocks on our door, fainting with sadness when it does. We cannot remain diffident, blissfully ignorant, uninvolved, simply because the referendum (whatever that word means, anyway) is happening half-way across the world and not next door. We, at this historic crossroads, have a unique obligation to ensure that the world continues watching; that it does everything in its power to prevent future violence from unfolding in Sudan. Because peace is at stake there. Not only for them, but for us. And if we don’t speak for them, who, said Martin Niemoller, will be left to speak for us? The people of Southern Sudan are ready and deserving. They don’t want self-governance. They want independence. They want the privileges we know, and those we often take for granted. They want to be able to protect their families and their children. To walk outside their towns and cities without the fear of being raped. To keep warm at night. As we do, they want to be free. Simon Goldberg is a student at Yeshiva University and the Founder and President of the Student Holocaust Education Movement, a student-based organization advocating the preservation and propagation of Holocaust memory. Simon is a contributor to Righteous Pictures. Six months ago I was informed that The Last Survivor had been chosen by the Film Society of Lincoln Center to screen at their bi-monthly “Independent’s Night.” I remember calling Michael Pertnoy to relay the great news. “We’ve got our New York premiere, SG,” said Michael. We most certainly did. On the evening of August 12th, 270 people settled into their seats at the sold out Walter Reade Theater. I looked around at a room of diverse New Yorkers – bankers, students, philanthropists, and filmmakers – everyone there to see our film. I was in complete awe. gratifying experiences of the journey. Personally, I was euphoric. 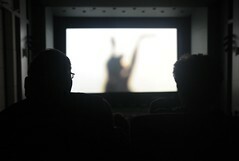 After opening remarks by a Film Society representative, the film began promptly at 6:30 PM. The theater was silent — as if each audience member was holding his or her breath for the entirety of the 88-minute film. When it was over, a resounding applause swept through the crowd and the Question and Answer session was set to begin. Our co-directors Michael Pertnoy and Michael Kleiman were joined on stage by Holocaust survivors Hédi Fried and David Gewirtzman. 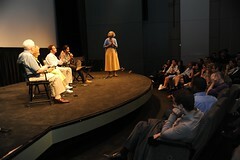 The Q&A was moderated by Ruth Messinger, the President of the American Jewish World Service. The Michaels described the process of directing and producing The Last Survivor, Hédi and David recounted their reactions upon viewing the film for the first time, and Ruth Messinger provided a wide lens humanitarian perspective. The Q&A was captivating -– and by the time it was over everyone was ready to enter the reception hall to meet and mingle with the Righteous Pictures team. Fast-forward two hours and the night was over. All of the preparation leading up to this incredible event had paid off. The evening ran more smoothly than I could have possibly imagined. While our New York premiere is now in the rearview mirror, the ripple effect of such a successful evening made the month of August 2010 one for the books. Our network of supporters continues to grow, and with genocide raging in Darfur and the Congo in complete disarray, The Last Survivor’s message is as important as ever. As we transition from summer to fall, let’s continue to work together to ensure that the The Last Survivor reaches audiences far and wide. Let’s keep the momentum going and continue to empower each other to take a stand against human rights atrocities occurring around the globe. I wish you all happy holidays and an enjoyable end of summer. For Justin Semahoro Kimenyerwa, a Congolese refugee and one of the four survivors featured in The Last Survivor, traveling to Israel has always been a dream. “It’s one of my best dreams,” Justin says. That dream is about to become a reality. Tomorrow morning, Justin will fly to Jerusalem with director Michael Kleiman where they’ll meet up with director Michael Pertnoy for the film’s international premiere. The Last Survivor Sneak Preview from Genocide Prevention Month on Vimeo. “Life-changing” is one of many glowing adjectives people are using to describe The Last Survivor, which has won numerous awards and accolades on the festival circuit. Now, with its international premiere, the filmmakers are enjoying a homecoming of sorts. Israel is where their journey first began. In 2008, Michael and Michael read about the influx of Darfuri refugees living in Israel. With nothing but an idea and a camera, they headed to Israel on a mission. Their investigative instincts paid off—in Tel Aviv, they developed friendships with a number of Darfuri refugees, including Adam Bashar. Adam would not only inspire the project; he would be the first survivor whose story unfolds onscreen. A number of other individuals featured in the documentary will also be making their way to the international premiere, among them Dr. Chaim Peri, director of Yemin Orde Youth Village, and members of the Darfuri Community in Israel. Other distinguished guests include Adam’s classmates from IDC University and a Canadian Member of Parliament. The Last Survivor will be screening at the Jerusalem Film Festival at the following times: Sunday, July 11th @ 14:00 and Friday, July 16th @ 18:30. Yesterday I caught up with director Michael Pertnoy after The Last Survivor’s recent screening at the San Antonio Film Festival. One of his favorite parts of taking the film on the road is the post-film discussion he gets to have with impassioned audience members. Michael described a particularly poignant moment at SAFILM last weekend. It’s an interesting parallel. “We always talk about the moment people’s rights get taken away,” says Pertnoy. “That’s how it starts. We say, ‘You’re not like us. You’re something else.’ According to Carl Wilkens, the way to eradicate genocide is to eliminate this idea of the Other.” Carl Wilkens is the only American who chose to stay in Rwanda in 1994 and was responsible for saving hundreds of lives. He is also the namesake for the Genocide Intervention Network’s Fellowship Program, in which Pertnoy participated in 2009. It’s something we don’t hear much about, maybe because it’s left such an ugly stain on our history. In her book “A Problem from Hell:”America and the Age of Genocide, Samantha Power points out that we killed 19 million Native Americans in this country. Not only did we instigate a genocide of epic proportions; we are the only nation to successfully carry one out. Which brings us to 2010. There is no outright slaughter, no Trail of Tears. But we are erecting a pernicious “Other,” this time in the form of immigrants. Recent immigration laws in Arizona not only blatantly defy our country’s cherished protections of asylum, but our Constitution itself. The Last Survivor was, as usual, a smash hit at SAFILM, taking home the Audience Award for Best Documentary. What’s next for the filmmakers? A trip to Israel, where the film will enjoy its international premiere at the Jerusalem International Film Festival. Stay tuned for transatlantic news! Compare that to what Angie is doing now—working one-on-one with refugees as the director of Community Refugee and Immigration Services (CRIS) in Columbus, Ohio—and you’ll find two careers at entirely opposite ends of the spectrum. Angie couldn’t be happier to have made the switch. In 1998, Angie was halfheartedly putting her law degree to use at an unfulfilling state job. Then she read an article about a lawyer who was volunteering for a fledgling refugee agency. When she contacted the agency to see if they needed more volunteers, they said, “Come all the time.” So she cut back her state job to thirty hours and started volunteering with refugees for twenty hours a week. It didn’t take her long to fall madly in love with the work she was doing. She left her state job in the dust with no second thoughts. The relationships she’s developed along the way have been deep and powerful. Take Amina, who was just eighteen when Angie started working with her ten years ago. Amina and her sixteen-year-old brother had suffered a long journey to get to the United States, and when they arrived, they didn’t speak a word of English. Angie helped Amina navigate the American justice system to get legal guardianship of her brother, assisted her when she ran into a problem with public housing, and was right by her side when Amina had her first child. Along the way, Angie became more than just a case worker; she became a friend. It’s those kinds of gifts you just don’t get in a state job. And that’s because what Angie is doing isn’t just filing mundane paperwork or typing in numbers. She’s given hope to the hopeless by helping these people start a new life. When refugees touch down in the airport of their new homes, the official work of the U.S. refugee resettlement agency that handled the placement comes to an end. At that point, one of the 250 local affiliates takes over. CRIS is one of those affiliates. That means they do on-the-ground work with newly arrived refugees, helping them acclimate to their new environment. Whereas others might look at these people as hopeless and helpless, that’s not how they view themselves. For example, a Somali woman who arrives with three small children isn’t looking at her future as one hurdle after another—language barriers, young dependents, finding a job, etc. Instead, she sees herself as a survivor. She’s thinking, “I can do this.” And it’s Angie’s job to make sure that she can. Because of her administrative responsibilities, Angie considers herself lucky to work one-on-one with the refugees as much as she does. She still tries to go to the airport when she can to personally greet refugees upon their arrival. Airport scenes are always tender and poignant, like when the Somali orphans were reunited with their aunt and grandmother. And she’s right: it truly did. Somali Orphan Reunion from Mapendo International on Vimeo. ▪ Contacting your local refugee resettlement agency and offering to volunteer. Often what refugees need most is a friend. They’ve just landed in an entirely world and could use help adjusting to their new environment—anything from learning how to cook in an American kitchen to shopping for groceries at the supermarket. A Rwandan woman once told Angie that the best thing her co-sponsor ever gave her was a phone number. She just needed someone to call when she was confused about some aspect of her new life! ▪ Making a donation to your local refugee resettlement agency in the form of either material items (towels, sheets, kitchen supplies, laundry detergent) or monetary donations. ▪ Joining the Genocide Intervention Network and the Save Darfur Coalition on Meetup.com to meet up with refugees and activists who live in your community. War, genocide and poverty are just a few of the problems that plague our world. No one likes to hear bad news and too much of it can numb us to the plight of others. We turn off the television, log off the computer, fold up the newspaper, and immerse ourselves in the serenity of a secure ordinary life. However, there is no bliss in ignorance and ignoring the great problems of our time won’t make them go away. Our complacency only makes things worse. I got a “wakeup call” and was once again stirred to action after talking with Michael Pertnoy at a screening of his documentary “The Last Survivor,” during the 2010 Little Rock Film Festival. This amazing film reminded me that all of us can do something to end injustice and promote reconciliation. The beautiful cinematography and compelling characters in his masterpiece also helped me remember my own trek to the Sudan and Kenya in the summer of 2006. My journey began while I was a graduate student at the University of Arkansas Clinton School of Public Service. Part of the school’s curriculum required that I work on a service project abroad and I knew I wanted an adventure in Africa. After researching a variety of humanitarian projects, I finally committed to working on some innovative programs in Southern Sudan with Winrock International, an innovative global nonprofit organization; the VEGA consortium, the world’s largest alliance of economic growth volunteer organizations; and the United States Agency for International Development (USAID). Over the course of three months, I lived and worked in impoverished villages and burgeoning cities, like Juba and Rumbek. I trained Southern Sudanese journalists in the art of investigative reporting and I participated in a variety of agriculture and small business development programs that were aimed at helping the people of Southern Sudan rebuild their country’s economic infrastructure after decades of war. I shall never forget the harrowing stories I heard and the resilient people I met throughout the Sudan and at the United Nations’ Kakuma Refugee Camp in northern Kenya. The courage of the Sudanese people and the grace of that global group of volunteers working with them truly inspired me. In 2007, on a shoestring budget, I completed a documentary with footage and interviews from my travels in the Sudan and Kenya. The thirty-minute film titled “A Partnership for Prosperity: Public Servants in Southern Sudan” focuses on all of the economic development initiatives taking place in the country. The documentary also spotlights the work of aid organizations that are assisting Southern Sudanese citizens in the valiant effort to strengthen war-torn communities. Simply put, the film project was a labor of love. 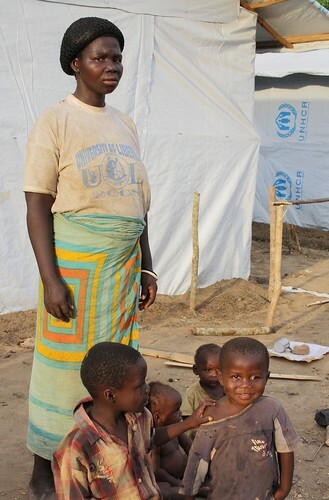 As World Refugee Day approaches, I am reminded of my friends and colleagues in Southern Sudan. I shall never forget them or my journey. There is still so much more work to be done in the Sudan and countless other countries. We all must use our energy, time and talents to raise awareness, combat inequality, and alleviate the plight of the poor and oppressed around the world. Our future cannot afford indifference in the face of injustice. ▪ Call 1-800-GENOCIDE to make your voice heard to your elected representatives. To date, more than 25,000 activists have called this number. Let’s make it 50,000 by June 20th! Today we’d like to introduce you to another refugee featured in The Last Survivor: Jacqueline Murekatete is a survivor of the 1994 Tutsi Genocide in Rwanda. At twenty-five, she serves as the director of Jacqueline’s Human Rights Corner and visits schools nationwide to tell her story and educate others about genocide prevention. Jacqueline wrote the following last April, exactly fifteen years after the genocide that claimed her family, her home, and life as she knew it. Now we’re sharing her remarkable story with you. 15 years ago, I was a young girl of nine living in Rwanda. I remember listening as a death sentence was pronounced on me, my family, many of our neighbors and our friends. The crime? Our ethnicity. For approximately 100 days, I lived in state of extreme fear, never knowing whether I was going to live to see the next day. Every day I was exposed to horrors that no human being—especially a child of nine—should ever be exposed to. The things that I experienced between the months of April and June of 1994 are things that I will never forget. How can I ever forget the day that I had to flee my home and everything I had ever known and loved if I had any chance of surviving? How can I ever forget my horror and lack of comprehension as I listened to a national radio station that encouraged my neighbors to pick up machetes and hunt my family and other Tutsis, calling us cockroaches that needed immediate extermination? How can I forget the days I spent watching men, women, and children being dragged to their death? How can I ever forget the nights I spent listening to the painful cries of children whose arms and legs had been chopped off—in most cases by those they had once called neighbors and friends? And in the end, how can I ever forget that tragic day that I came to learn that while I was one of the few survivors of this Genocide, my entire immediate family and most of my extended family had been taken to a river and butchered as if they were animals. Their bodies were thrown into the passing water, never to be found, never to be buried in dignity and honor. On Tuesday evening this week, at the Church Center for the United Nations, I joined a small of group of survivors and lit a candle for my parents, my six siblings, my uncles, aunts, cousins, teachers and friends, and the now estimated over one million innocent men, women, and children whose lives were tragically taken in Rwanda in 1994 . Earlier that day, I was standing in front of an audience of more than 500 people, including the U.N Secretary-General Ban Ki-moon, where I had been invited to be the voice of survivors as the U.N marked the 15th Anniversary of the 1994 Genocide in Rwanda. In front of world diplomats, civil society leaders, and members of the Rwandan Diaspora, I asked myself what, if anything, the world had learned in the 15 years since the Rwandan tragedy. How close are we to fulfilling the vow of “Never Again” that was promised over 60 years ago? On one hand, I am reminded of the many letters I have received over the past eight years since I began sharing my story with young people around the world. They are letters that express young people’s commitment to genocide prevention and tolerance – not only through words, but through actions. I think of the various STAND chapters that have created a haven in schools throughout this country, of the growing movement of young people calling for an immediate end to the current Genocide in Darfur, Sudan. In all of this I find hope. But I am also reminded of the fact that the Genocide in Darfur continues. That while humanitarian aid may flow to Darfuri refugees, the killings and rapes continue. 15 years after the Genocide in my native country, I am reminded of the fact that the ideology of Genocide remains alive and well in Rwanda, expressing itself through the harassment and killing of survivors, in denial and attacks on Genocide memorials. In the 21st century, hate, genocidal ideologies, and intolerance of all types remain realities we cannot afford to ignore. 15 years after Rwanda, there is still a great deal that humanity needs to learn. More actions need to be taken if we are to make sure that future generations are spared the losses that I and many others experienced during those haunting 100 days of horror, desperation, and murder. To learn more about Jacqueline Murekatete and her Genocide prevention efforts, please visit www.miraclecorners.org. You can also vote for Jacqueline for the 2010 Do Something Awards. She will get $100,000 to support her organization. You can also see Jacqueline in the 20-minute sneak preview of The Last Survivor, available now. Share with your friends and family; host local screenings at community centers, schools, universities, and your home; and start a conversation in your own community about how you can work together to fight genocide. ▪ Host a World Refugee Day movie screening. Possible films include Hotel Rwanda, Beyond Borders, Return to Afghanistan, or the sneak preview of The Last Survivor! ▪ Organize a fundraiser to raise money for refugees and the organizations who help resettle them. Possible money-making ventures include a bake sale, raffle, auction, car wash, or an old-fashioned lemonade stand. Gabriel Stauring never intended to start a humanitarian organization. In fact he didn’t start out as an activist at all. In 2004, Gabriel was working with abused children as an in-home therapist in Southern California. He had no experience with activism or advocacy. But shortly after the tenth anniversary of the Rwandan genocide, he read about what was happening in Darfur for the first time. It was this line of thought that propelled Gabriel to found Stop Genocide Now in 2005. The organization’s goal is to “change the way the world responds to genocide by putting a face to the numbers of dead, dying and displaced.” Each of their innovative projects utilizes the strength and power of grassroots connectivity. It didn’t take Katie long to find other people who wanted to do something about the genocide in Darfur. So they formed an ad hoc group, dubbed themselves the Portland Coalition for Genocide Awareness, and organized a genocide awareness month in Portland, Oregon. They brought in filmmakers, gave presentations, and worked with local schools and synagogues. Camp Darfur is one of the primary programs SGN brings to schools and communities around the country—an interactive awareness and education event. When Gabriel came to Portland with Camp Darfur, he met Katie and offered her a job. Stop Genocide Now had doubled its staff—Gabriel and Katie were the first two full-time staff members! Today SGN has more than twelve active members, and nine board members sitting on the advisory committee. Gabriel, Katie, and their colleagues have made eight trips to the refugee camps, and are currently preparing for a ninth. They’ve built strong relationships with the refugees, relationships that continue to evolve and strengthen as the years go by. These eight trips are part of the revolutionary i-Act project, something unique to SGN. As a part of i-Act, the SGN team posts daily webcasts during each trip, creating a vibrant, interconnected community between activists and individuals worldwide. Capitalizing on the wondrous potential of the internet, they keep a blog that allows them to interact with people anywhere in the world. In turn, international website visitors can see the human face of the ongoing crisis, ask questions, and make comments. The extensive video library that accompanies each i-Act journey includes many short films featuring the refugees themselves. Every action—even the smallest one—makes a ripple. That ripple becomes a wave, and enough waves can rock the ocean. ▪ If you’re planning a dinner, event, or get-together for World Refugee Day, SGN will supply you with video materials…for free! Contact them and they’ll send you a DVD with film clips from their time in Africa so your group can hear the stories of real refugees. ▪ It’s okay to start small. Tell five people about what’s happening in Darfur, and give them information about where they can find out more. ▪ Bombard your U.S. representative with postcards, letters, and phone calls, urging them to speak out about changing the way the U.S. is implementing Sudan policy. So far we’ve looked at one side of the refugee equation—the activists and organizations who are committed to the cause. But we’ve yet to meet any of the refugees themselves, or to hear their stories in their own words. As World Refugee Day fast approaches, it’s time to draw back the curtain and meet the people whom we seek to honor and to help. We’d like to introduce you to one of the four survivors featured in The Last Survivor. Justin Semahoro Kimenyerwa is a Congolese refugee who was resettled to the United States on June 11, 2008—exactly two years ago today. This is his story. I would like to tell you about my home and my people. I was born in Minembwe in the Democratic Republic of Congo—over the mountains of the land, deep within the green fields of South Kivu. It is a land full of green vegetation, lush forests, and beautiful wildlife. Between the greenery, numerous rivers always flow among mountains and flat land. We have just two seasons—the rainy season and the sunny season—both marked by favorable temperatures. Throughout the year, a nice breeze offers comfort each morning. Within this peaceful land, there exists a community that struggles to survive. These are the members of the Banyamulenge tribe. They are my people. The Banyamulenge have lived on the lands of South Kivu for five centuries. It is the home of our grandfathers, our ancestors—the only home we know, but one that is not acknowledged by our neighbors or our government. They believe we have no right to live in Congo, constantly insisting that we return to our “real” home far from the lands of South Kivu. This unprovoked hatred of the Banyamulenge people has been the cause of indescribable suffering and massive killings of my people. In 1996, war began in Congo—a war which continues to this day and one in which a malicious group called the Mai Mai seeks to eliminate the entire Banyamulenge Tutsi tribe. The Mai Mai is a group of many tribes in the South Kivu region (Abafurero, Ababembe, Abanyintu, Abashi, Abarega) that joined together with Interahamwe (Hutu’s who fled from Rwanda after they carried out the Rwandan Tutsi Genocide in 1994). Together, they started attacking Banyamulenge villages—killing men, women, and children, taking our cattle and burning our homes. While they attacked our villages, those Banyamulenge who lived in other areas of Congo were captured, jailed, and in some cases, killed. My brother, Bizimana Mavugo, was one such Banyamulenge—he was arrested in the town of Kalemie and was killed by machete along with 81 others. They were buried together in a single grave. In 1998, my own village was attacked. I remember the sound—shouts, the intensifying beating of drums, guns firing at those who tried to escape. Suddenly, the sound of my father’s voice: telling us to run, to each fend for our own life. There was no time to say goodbye. I ran through the bullets, past the attackers who were shooting us, toward the forest we call Nyarubari. I thank God I was not shot. In the forest, I stood with my cousin, Bogabu, waiting in the darkness for the silence that would signal the end of the attack. I was content to wait there, alive. But Bogabu was less patient. After sitting in silence for several hours, he insisted on walking out to see if the attackers had left. I pleaded with him to stay put, but he was older and he insisted. As soon as he emerged from the bush he was shot. He cried out for me, but I could not help him for fear of being killed myself. After my cousin was killed, I didn’t know what to do or where to go. I remained in the bush alone, confused, waiting to be discovered and slaughtered like the others. But God protected me from the attackers and they did not come to the bush in which I hid—a bush that was surely shaking from the twitching of my nerves. My life changed that night. It was the last time I saw my home in the green fields of South Kivu. I lost five of my best friends that night, friends with whom I did everything throughout my childhood. I loved them very much. It was also the last time that I saw my parents and my siblings—my father’s command to run the last I have heard of his voice. There is no way that I can explain to you in words the troubles that I endured after that night. I have no words to tell you of the hunger I felt from having nothing to eat as I walked through the forest. I survived off the leaves and roots of trees. If I discovered a piece of fruit on the forest floor, it was indeed a good day. Nor can I explain to you the pain that I felt in my heart—the longing I felt for my family and my friends, the desire to return home. Of course, I could not return home and so I moved through the forest, comforted by the protection of God’s great trees. I went to a town called Uvira. There were other Banyamulenge in Uvira and I thought I would be safe there. A group of children I encountered upon my arrival in the village proved this thinking incorrect. “What are you doing here?” they asked, already moving toward me with machetes. “Do you think this is your motherland?” Even young children are trained to hate the Banyamulenge. I decided that it was better to be killed running than to stand still and wait for death. And so again, I ran. It was not until after I escaped that I realized I had been struck in the leg by a machete that had been thrown at me. I was lucky. Other Banyamulenge who had approached Uvira suffered a much worse fate, their bodies hacked apart while they were still alive or burned—simply because we are Banyamulenge and these others do not want us in their country. From Uvira, I journeyed into Rwanda, which was not safe either. In Rwanda, I heard that there was a city in Kenya called Nairobi where I would be safe. I heard that Nairobi was a silent city—a place where I would not hear guns, where I would not hear the cry of women and children who screamed out as they were killed. I decided to go there. I remained in Nairobi for five years. During that time I grew sick of my own struggle. I wished I had someone with whom I could share my days, but I was alone. I had a terrible infection in my sinus that kept me up at night. I missed my parents and my siblings. I missed my friends and our cattle back home. Each day I prayed to God, asking Him to bring me to a place where I could be in peace. I thank the creator of Heavens and Earth who heard my prayer and sent his servant to come and save me. Of course, I speak of Sasha Chanoff and the organization he founded, Mapendo International. Tirelessly, they worked beyond what was asked of them for me and my people. Mapendo found someone to pay for the operation I desperately needed on my sinus—allowing me to breath and sleep for the first time in five years. They helped me find shelter and helped me through the long and difficult resettlement process. And so it is that suddenly, after ten longs years during which I traveled the forests of Africa, I find myself in St. Louis, Missouri, for the first time feeling safe. I thank God for keeping me alive and now, allowing my voice to be heard—allowing me to speak on behalf of my Banyamulenge people who have no one else to speak for them. We, Banyamulenge, do not have a place to call home. We are hated in our country, our people are displaced across neighboring countries and our attackers follow of us, killing us wherever we seek shelter. Many of you may have heard of the massacre of the Banyamulenge at the Gatumba Refugee Camp in Burundi in 2004—a nightmare in which hundreds of men, women and children were slaughtered simply because of who they were. Banyamulenge. My remaining wish—aside from that of one day being reunited with my family—is that no other child shall cross the difficult path that I passed through. I will dedicate my life to working toward that goal. To learn more about Justin, his incredible story, and his people, check out Imuhira, the organization he founded to document, preserve, and celebrate Banyamulenge culture. You can also see Justin in the 20-minute sneak preview of The Last Survivor, available now. Share with your friends and family; host local screenings at community centers, schools, universities, and your home; and start a conversation in your own community about how you can work together to fight genocide. ▪ Throw a dinner party and initiate a discussion about the world’s refugees. Serve a traditional dish from a country with a high number of refugees or IDPs (internally displaced persons). For a Congolese favorite, try Liboké. ▪ Wear light blue (the international color of UN Aid workers) and tell people why. ▪ Learn “Mambo Sawa Sawa” and sing it with pride! Is there an expiration date on justice? Efraim Zuroff doesn’t think so. After more than thirty years as the director of the Simon Wiesenthal Center in Israel, Zuroff knows a thing or two about justice. His relentless pursuit of Nazi war criminals has formed the backbone of his life purpose, not to mention his iconic moniker. To the world, Zuroff is “the last Nazi hunter”—and the subject of an upcoming CNN documentary by the same name. The title suits him, especially in light of the joint project launched by the Wiesenthal Center and the Targum Shlishi Foundation of Miami in 2002. “Operation: Last Chance,” as its name implies, is apt to be the last concerted, international effort to locate Nazi war criminals and bring them to justice. Faced with the increasing difficulties of such a task, the goal of the initiative is to “offer financial rewards of up to 10,000 euros for information which will help facilitate the prosecution and punishment of Holocaust perpetrators.” The project is currently active in Germany, Austria, Poland, Romania, Hungary, Croatia, Lithuania, Latvia, and Estonia. Some people question the morality of convicting 80- and 90-year-old men (and occasionally women) for crimes they committed more than half a century ago. Surely they’ve repented. Surely they’ve realized that what they did was wrong. But not only is Zuroff unconvinced; he’s uninterested. The passage of time does nothing to absolve the guilt of a mass murderer. There is no statute of limitations on genocide. And here we’ve stumbled upon a fascinating issue: the question of justice and accountability. If we cease to hold perpetrators of genocide accountable for the atrocities they committed, what are we doing if not condoning mass murder? There’s no such thing as a geriatric “get out of jail free” card for those who have committed heinous crimes. Does this scenario sound eerily familiar? “A mockery of the judicial process”? On March 4, 2009, the International Criminal Court (ICC) issued an arrest warrant for Omar al-Bashir on seven counts of war crimes and crimes against humanity. To date, over 500,000 Darfuris have been murdered by Bashir’s state-sponsored Janjaweed militia, and over 3 million have been displaced from their homes. But the ICC can only act when a state is unwilling or unable to carry out an investigation or prosecution. And, more than a year later, the Sudanese government is still balking at the warrant. Not only is a convicted war criminal still at large; he’s just been re-elected President. This dictator shares the same comfort Nazi perpetrators enjoy in their tucked-away villas and their downtown coffeehouses. What’s more, Al-Bashir remains unmistakably free to engage in war crimes, the menu of which defies description. But, with the Sudanese government denying any allegations of direct attacks against the civilian population; Sudanese officials refusing to cooperate with ICC prosecutors; and the unshakable support of the Arab League and Islamic Conference Organization, the indictment is bound to remain just that—an indictment. 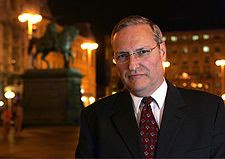 Efraim Zuroff has dedicated thirty years of his life to tracking down perpetrators of the Holocaust. The research is never-ending—digging through old newspapers and photographs, traveling the world to collect testimonies of surviving victims, peeling back years of darkness and secrecy for the truth beneath. Meanwhile, Bashir moves in the clear light of day: a convicted war criminal, a mass murderer, and an avid denier of the charges brought against him. When will he be held accountable for his actions? How long will the other countries of the world stand idly by? And when do we follow the example of Adam Bashar, the Darfuri refugee and activist featured in The Last Survivor, and speak out? It’s time we prove the media bigwigs wrong and raise our voices in the battle for human dignity. Please watch the The Last Nazi Hunter on CNN. Then take the 30 seconds to create a (free) account and leave your comments. We WILL fight for justice, and we won’t be silent until it’s served. Now let’s tell the world. As ethnic tensions in Sudan continue to cause an international spike in blood pressure, another conflict has recently captured my attention. This one is unfolding in an entirely different country, on an entirely different continent. It’s happening in Sri Lanka. We don’t hear much about Sri Lanka. A tear-shaped island in the Indian Ocean, it’s relatively small—slightly larger than the state of West Virginia and significantly more crowded (a population of twenty-one million as opposed to W. Virginia’s two). The predominant ethnicity is Sinhalese (82 percent), with Tamil making up the biggest minority group (9.4 percent). And, as is so often the case, it’s the tension between these groups that has left a dirty stain on Sri Lankan history. War erupted in 1983 between the Sinhalese majority and the Tamil separatists (LTTE) and became one of the longest-running civil wars in Asia. Norway helped negotiate a ceasefire in 2002, but the peace treaty was repeatedly violated in the years that followed and an estimated 265,000 people were displaced. In 2009, the Genocide Prevention Project released a Mass Atrocity Crimes Watch List, and Sri Lanka made it onto the top tier—the “red alert” countries who had the highest composite of risk factors. 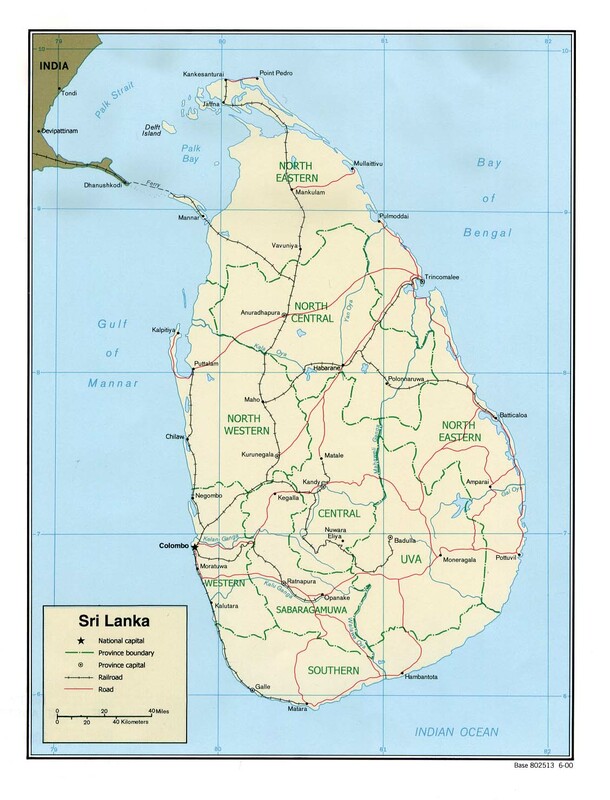 In May of the same year, the Sri Lankan government declared official victory over the rebels. But is an official victory the same as an actual one? And if so…at what cost? Today, one year later, the government has launched a new project in Sri Lanka: the project of destruction. On 19 March 2010, Sri Lanka’s Daily Mirror carried a brief article on its front page startlingly headlined, “Government to wipe out LTTE [Tamil Tiger] landmarks”. The rationale for this, according to the secretary to the ministry of tourism, George Michael, was that the “LTTE and the violence which affected the public during the war should be forgotten”. Fortified with such logic, the government has bulldozed all the LTTE cemeteries in the Wanni… A few weeks back, the Thileepan memorial near the Nallur temple was defaced with the collusion of the Sri Lankan army. While the homes of LTTE leaders will be replaced with hotels and resorts, according to the ministry, we have also witnessed the erection of several state-sponsored “victory monuments” to commemorate the defeat of the LTTE in the north. What the Sri Lankan government is attempting is nothing new. Perhaps that’s why their efforts to rewrite history—to scrape away the “undesirable” parts—make me profoundly uncomfortable: precisely because it’s so familiar. It’s eerily reminiscent of Holocaust deniers or the Sudanese government denying that genocide ever occurred. The first step is to destroy the evidence. The second step is to forget what happened. And how very dangerous it is, this forgetting. I think we’d all agree that destroying the remnants of the past is not the answer. If we want to keep ourselves from descending yet again into that hellish abyss, then we must remember. It is our moral imperative. And if film is a way “to document – to serve as a keeper of memories for future generations,” as Michael Pertnoy and Michael Kleiman attest, then documentaries like The Last Survivor became all the more vital. The film functions as a memorial, but not a stagnant one. It is an active memorial: one that makes it impossible to forget. For de Alwis, memorials “play a crucial role in all societies. They function as repositories of memory, suffering and grief, and often help to translate the unthinkable to the thinkable.” The sooner we move into the thinkable, the sooner the preventable can and will occur. 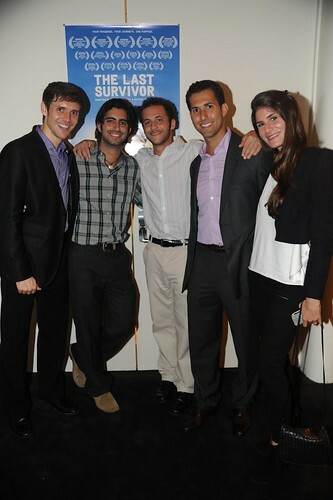 Check out The Last Survivor next week, screening on May 11th and 12th at the Jewish Film Festival in LA. It was the quote that launched a thousand ships—or, at the very least, the passion of one undergraduate. In 2005, the words of Dori Laub pierced my consciousness and stirred my soul. Laub, psychoanalyst, Yale academic, and co-founder of the Holocaust Survivors’ Film Project, had said something so simple yet so profound: that it is in the very telling of our traumatic histories that we survive them. Five years later, the same quote was scrolling on my mental marquee as I scanned the selections at the Dallas International Film Festival. So it’s no small surprise that a title like The Last Survivor immediately caught my eye. I’d arrived in Dallas just a few days earlier, eager to engage with the arts community. A cursory glance at the synopsis further piqued my interest—the film seemed right in line with my interests. “How serendipitous,” I mused. Little did I know just how serendipitous it was. As I settled into my seat at a sold-out screening, I was expecting a film about survival. I was expecting to watch four powerful stories unfold onscreen, the personal narratives of survivors from four horrific genocides: Rwanda, Darfur, the Holocaust, and Congo (the last of which, up until watching the film, I had been totally unaware of). And I was not disappointed—The Last Survivor offered all of that. But it also offered something I was not expecting. Two things, actually. The first was a message of hope. The second was a call to action. I’m a firm believer in the power of stories. They can move and inspire us; they make us laugh, they make us weep. When I first read Elie Wiesel’s Night, there came a page where I had to close the book and pick it up again the next day; the pain was just too raw. But can stories affect real change? Can they tilt the world off its axis, inspire an uprising, breathe spit and fire into a valiant cause? Directors Michael Pertnoy and Michael Kleiman believe they can. Not only that…they believe that giving survivors a forum in which to tell their story is the absolute best way to ensure that genocides like the Holocaust never happen again. And, as I begin my work with Righteous Pictures, I believe them. According to Michael and Michael, they’re enthralled by “cinema’s capacity to not only bear witness, but to document – to serve as a keeper of memories for future generations.” I couldn’t agree more. As Dori Laub will attest, survival in the truest sense transpires only when there is dialogue, and film is such an ideal space for creating that dialogue between bearing testimony and bearing witness. I remember watching Claude Lanzmann’s Shoah for the first time and trembling. There is nothing as powerful as allowing people to tell their story, then standing back to let those stories speak for themselves. The Last Survivor achieves much the same magic. But here’s where the team at Righteous Pictures is doing something truly exceptional. For them, it doesn’t stop at the bearing witness/bearing testimony dialectic. Instead, the dialectic becomes a trialectic, because not only do the film’s viewers bear testimony…they bear the responsibility to take action as well. And that’s when it hit me. As Michael Pertnoy fielded questions after the film was over, the audience lingering wide-eyed in their seats, still under The Last Survivor’s spell, it occurred to me that, in all my years of reading and research—my foray into Holocaust Studies, my thesis work, my ongoing fascination with trauma and memory—never have I put the final piece into the puzzle. It’s embarrassing to admit, but for all my academic study of genocide, genocide prevention never came up once. And if genocide is indeed preventable, then shouldn’t every story spoken lay the groundwork for a world where one fewer story need be told? What the Michaels have done—and brilliantly so—is taken the issue of genocide from the realm of the purely esoteric (tweed, theory, and the ivory tower) and made it real. The film’s four characters are so vivid, so heartbreakingly human. As Adam kicks up sand at the Israel-Egypt border or Justin sings praise songs with a smile that could melt Antarctica, we are with them, every step of the way. But we are not merely passive spectators, watching a stagnant retelling of a story. Because each of the film’s four survivors is deeply involved in fighting genocide, it is next to impossible to walk away from the film without feeling something stir within us. We are impassioned. We are enraged. And we want to do something about it. Which is why I introduced myself to Michael Pertnoy after the screening, waiting patiently for my turn as he graciously fielded a barrage of admirers, people who were stunned and impacted by the film, propelled into action on what would have otherwise been a sleepy Wednesday afternoon. I wanted to tell him that they’d created a work of art that spoke to people—especially young people—on such a dynamic and engaging level. And I wanted to tell him that, for perhaps the first time, I saw the unstoppable potential of a film like this, not only to educate and empower, but to spark a grassroots movement of international reform. So, I told him. And here I am. The floodgates have burst open. Impassioned discussions with the Righteous team, reading everything I can on Genocide Prevention, staying up until 3 a.m. with twenty Google Chrome tabs open on my laptop simultaneously—my work as RP correspondent has officially commenced. All my old passion has come rushing back, this time with the promise of something real and tangible, and so worth fighting for. Laub had it right: survivors must tell their story in order to know it, and they must know their own buried truth in order to live their lives. But we’re taking it a step—no, 10,000 steps further. It’s time we take these stories of indefatigable hope and survival and proclaim them to the world so that, on some glorious day in the not-too-distant future, there will be no more atrocious truths to be buried. No more denial. No more silence. And yes, even this: no more genocide.